The trick with baking with conifer needles is to really get to know the individual trees you are gathering from. Not only do different species of conifer (fir, pine, spruce, etc.) taste vastly different from one another, there’s quite a bit of flavor differentiation among individual trees as well. Firs tend to have the lightest flavors (without the bitterness of spruce or tartness of pine), and many fir needles have pleasant citrus tones that go wonderfully with other citrus flavors. But I’ve tasted fir needles that remind me of peppermint, others that hint of lime, and still more that have a full-bodied aroma of grapefruit. Some even have faint vanilla notes! Going “Tree Tasting” is a wonderful way to explore the many different flavors of your environment while also spending a gorgeous winter’s day in the woods. A couple of safety notes before you do: as always, make sure you are familiar with your identification before you go out into the woods. Regional guidebooks are a great resource; I often keep a couple in my car in case I come across something new while out hiking. All firs are edible, but many look similar to hemlock, which can be toxic. Additionally, conifer needles are not recommended for anyone who is pregnant or nursing. So once you’re all educated on the firs in your area, get yourself up to where the air is clear and the snow is deep and (most importantly) the trees are unsprayed and start wandering. 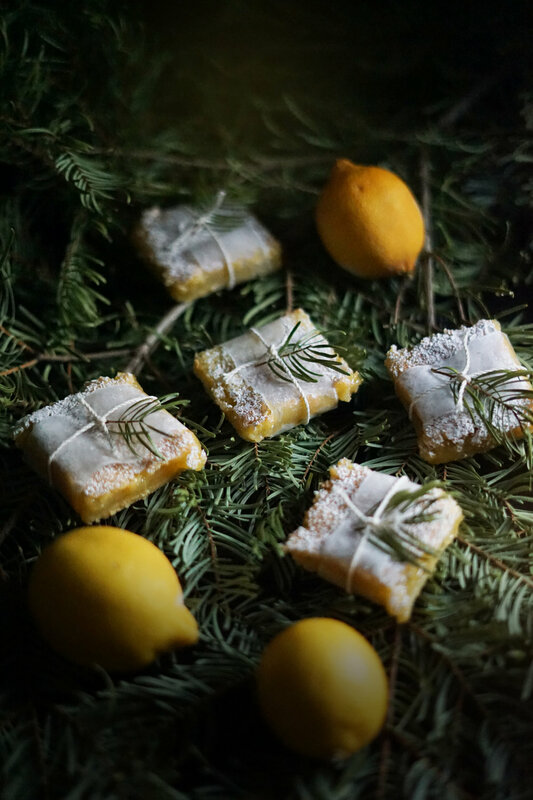 Anytime you see a fir tree, take a tiny little nibble and notice the aromas and flavors that hit your senses. Keep a mental note of your favorites and keep going. Then, on your way back, stop by to snip a branch or two from the trees that caught your attention. Bring them back and whip up a batch of these lovely treats to wow everyone with your wild and playful sophistication! You could even have a Tree Tea Tasting by brewing up a pot of each kind to share with some friends. I love pouring each infusion into tiny little cups and approaching it as you might do a wine tasting, silently writing down notes on each sample and then comparing them at the end. You might just be surprised at how many flavors you notice locked in those little needles! Leftover needles can then be dried and used in later teas, or ground into sugar or salt to add a little wild seasoning to other dishes. This is a particularly fun activity to do with friends, where you can compare your experiences and start to notice patterns. Do trees growing in gulches taste different than ones on rocky hilltops? Does the color of their needles influence their flavor? Get curious and explore! You’ll end up with a much deeper understanding of the forest and your part in it. And at the end: lemon bars. What’s not to love about that? Preheat oven to 350. Sift the tapioca starch, white rice flour, xantham gum, and almond flour into a bowl. Mix well. Add the granulated sugar and fir needles to a spice grinder and blend until the needles are ground fine and the sugar is nearly powdered. Sift into the flour bowl and mix well. Blend in the butter to form a crumbly mixture. Press evenly into a square 8” pan. Bake for 20 minutes, or until lightly browned. Beat together the rest of the ingredients, then pour over the crust and bake 20-25 minutes more, or until the top is slightly browned. (The filling puffs when baking but flattens when cooled.) Remove from oven and let cool, then dust with powdered sugar.